The lack of precedent in transitioning from pediatric to adult care poses a challenge to providers for patients with spina bifida (SB). The purpose of this study was to summarize perceptions about best practices for the care of adult spina bifida patients. A national survey was electronically distributed to 174 urologists who are current members of the Spina Bifida Association Network and AUA Working Group on Urologic Congenitalism. De-identified voluntary responses were assessed for implementation of and barriers to interdisciplinary adult SB clinics, continuity of care, and practices for transitioning from pediatric to adult care. The response rate was 40% with urologists practicing pediatrics, genitourinary reconstruction, female pelvic medicine and general urology. Patients undergoing transition or who have transitioned were seen in a multidisciplinary clinic (14%), regular adult clinic (34%), combined adult–pediatric multidisciplinary care (20%), or pediatric multidisciplinary clinic (28%). A majority believed transitioning to adult care should occur at 18 (24%) or 21 years (22%). In the absence of acute changes, providers followed adult SB patients annually with upper tract imaging (typically renal ultrasound) and serum creatinine. 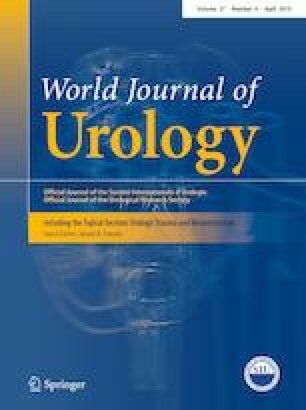 Acute urologic changes were preferentially managed with urodynamic testing and cystoscopy. Providers identified a need for multidisciplinary care in adult life, with neurosurgery/neurology (87%), social work (84%), and orthopedics (73%). Potential solutions to improve the urologic care of this population suggest additional national provider resources, standardized guidelines, multidisciplinary collaboration, access to care, and an advanced-training pathway to improve care of adult patients with spina bifida. The online version of this article ( https://doi.org/10.1007/s00345-019-02635-8) contains supplementary material, which is available to authorized users. SA, HW: project development, data collection/management, data analysis, manuscript writing/editing. KS: data analysis, manuscript writing/editing. TW: project development, manuscript writing/editing. SK: project development, manuscript writing/editing. The authors have no conflicts of interest to report. There were no sources of funding for this study. This type of study did not involve patients, as it was a survey. For this type of study, formal consent was not required, but survey participants agreed to participating in this institutional review board (IRB)-approved study software prior to initiating the survey. Formal informed consent was not required for this type of study, but all participants were informed of the purpose of this IRB-approved study and understood no identifying details were collected in the process of this survey, and all responses were securely stored and remained confidential. Participants agreed to this statement prior to initiating the survey.